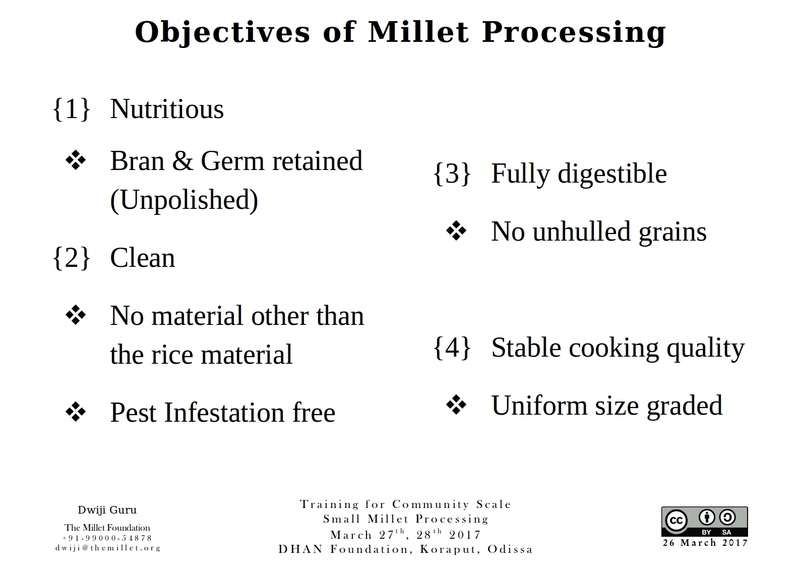 The objective of small millet processing is fairly simple – to get clean, nutritious, digestible forms of the grains that cook well. In order to achieve this, certain specific tasks need to be performed at definite stages to get better results and reduce drudgery. This material flow of SMP in a community scale unit is summarized in the image here. 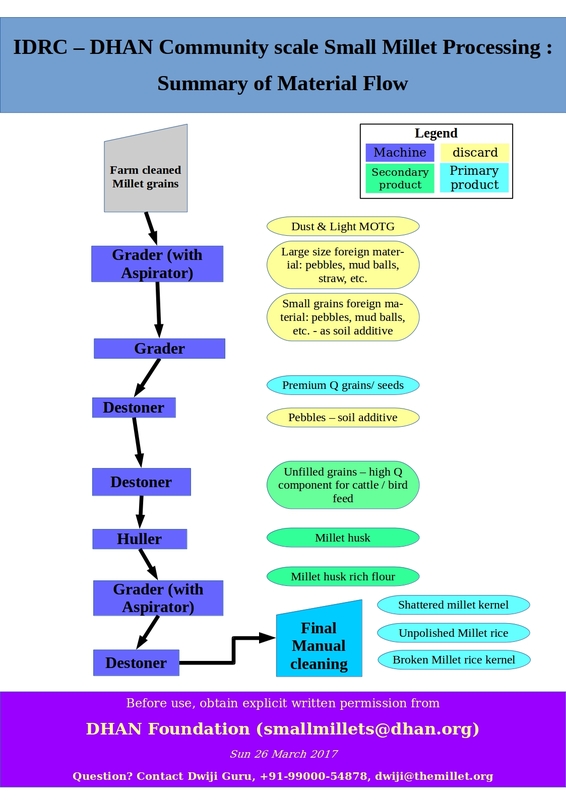 Posted on April 2, 2017 December 5, 2018 by DwijiPosted in millet processing, MilletsTagged flow diagram, machines, material flow, millet processing, Millets, poster, process flow, processing.